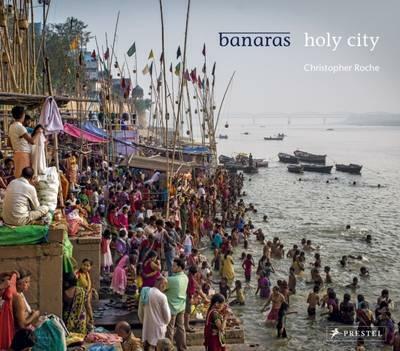 Banaras Holy City, ISBN: 9783791382241 - available from Nationwide Book Distributors Ltd NZ. Banaras, also known as Varanasi, is a Northern Indian city on the banks of the Ganges in Uttar Pradesh. One of the oldest continuously inhabited cities in the world, it is also one of the holiest in the Hindu faith. In this large-format book, the landscape and spirituality of this beautiful city come to life through the lens of award-winning photographer Christopher Roche. Spending two years covering the city's daily events, Roche turned his lens toward the alleyways of the old quarter and the ghats along the river, the holy men, temples, shrines, and religious ceremonies. He depicts the ubiquitous lingams and yonis, as well as the city s fabled burning Ghats, rarely photographed due to cultural restrictions. Banaras teems with life, color, and emotion. In his large, brilliantly hued images, Roche manages to capture the throbbing vitality of this important city as no one ever has before.